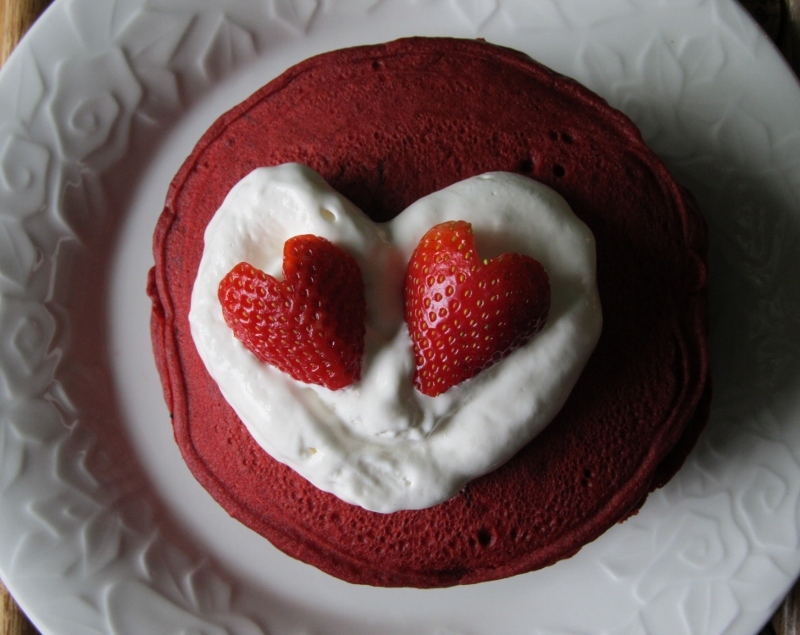 These red velvet pancakes are perfect for a Valentine’s Day breakfast in bed. In a mixing bowl, stir together the flour, sugar, baking powder, salt, and cocoa powder. Set aside. In another mixing bowl mix together the egg, milk, oil, food coloring, and vanilla. Add the egg mixture to the dry mixture and stir until combined. Lightly grease a skillet and bring to medium heat. For each pancake, pour about a 1/3 cup batter onto skillet. Cook about 2 minutes on each side. Cream cheese drizzle: Beat 2 ounces of softened cream cheese with 1/2 teaspoon of vanilla until smooth. Gradually beat in 1/4 cup sifted powdered sugar. Beat in enough milk (about 3 tablespoons) to reach drizzling consistency. Strawberry sauce: Blend 3 cups fresh or thawed frozen strawberries in a food processor. In a medium saucepan, stir together 1/3 cup of sugar and 1 teaspoon cornstarch. Cook over medium heat, stirring continuously, until thickened. Cool to room temperature. 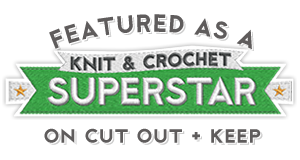 Categories: Uncategorized | Tags: breakfast, crafts, diy, heart, pancakes, squirrel picnic, strawberry, Valentine's Day | Permalink. Am so going to make some of these! Thanks for stopping by. Enjoy the pancakes! Love how you styled your finished plate! Those are beautiful! Sounds really, really good. I’m going to have to make these. Those look amazing! Thanks Anastasiamw for the kind words and for the nomination. I’ve been nominated already though, so I will have to decline. I’ll be sure to check out your Liebster article to learn more about you. You’ve got a great blog over there! Oh WOW!! These look amazing 🙂 Thanks so much for stopping by my blog, by the way. I think yours is great!